A clunky damsel-in-distress drama, The Two Mrs. Carrolls is hampered by wild over-acting and ham-fisted directing. 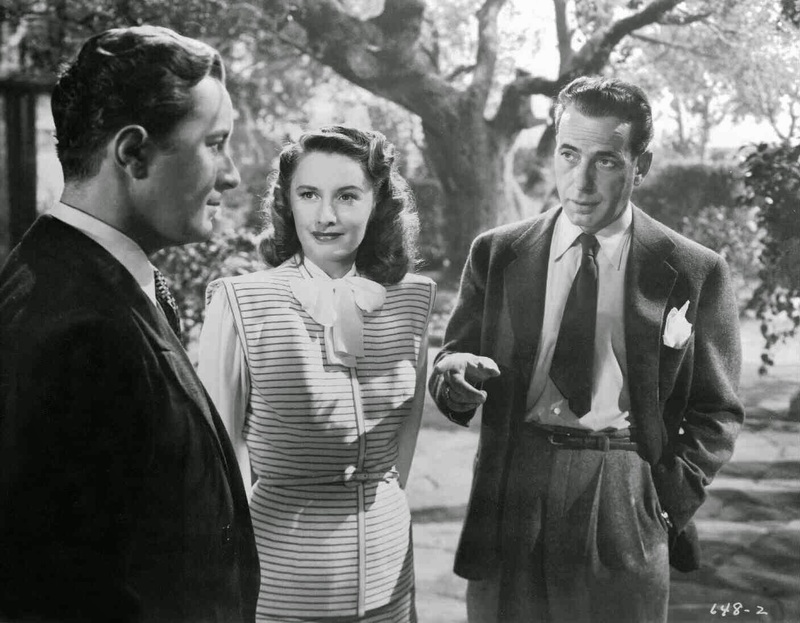 While on a trip to Scotland, painter Geoffrey Carroll (Humphrey Bogart) meets and falls in love with Sally Morton (Barbara Stanwyck). But she is then shocked to find out that he is married and has a young daughter Beatrice (Ann Carter). Geoffrey claims that his wife is an invalid, and she soon dies. About two years later, Geoffrey is seemingly happily married to Sally and living in a quaint village in England. With Geoffrey suffering through a drought of inspiration, Sally's former boyfriend Charles "Penny" Pennington (Patrick O'Moore) reappears in her life, along with his friends the haughty Mrs. Latham (Isobel Elsom) and her seductive daughter Cecily (Alexis Smith). Geoffrey and Cecily are quickly embroiled in an affair, and Sally starts to feel threatened. Completed in 1945 but only released in 1947, The Two Mrs. Carrolls follows in the footsteps of movies like Rebecca (1940), Suspicion (1941), and Gaslight (1944), and with Bogart and Stanwyck in the lead roles, the elements are there to create a compelling mystery. And there are brief snippets of a potentially interesting movie hiding somewhere inside the head of a philandering artist who can only paint when he is plotting murder. But this may be one of Bogart's worst performances, and most disappointing films. His portrayal of Geoffrey Carroll often crosses the line into unrestrained wide-eyed madness more suitable for the local theatre. 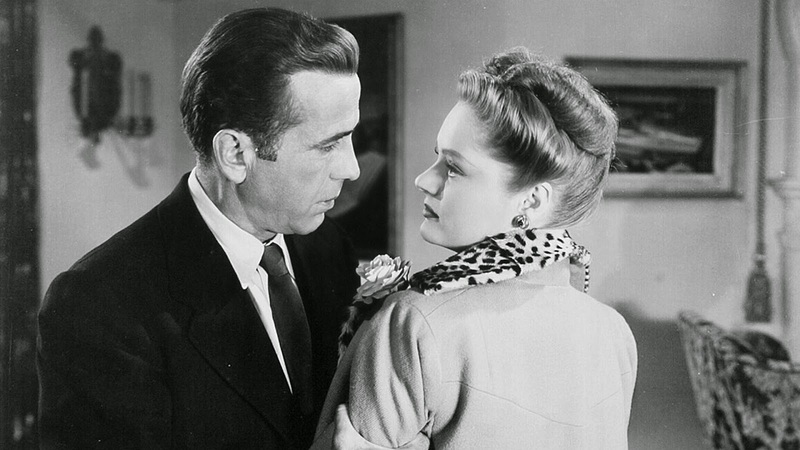 In a story that demands subtlety in pursuit of tension, Bogart delivers sledgehammer psychosis. Stanwyck is better, but only marginally. Her Sally hides behind naiveté, but when the time comes to display worry and fear, she also climbs over the top. The directing by Peter Godfrey is generally inept. He is unable to find any threads of empathy or nuanced character evolution to tie the drama together, and from the bombastic music to the plodding plot points, The Two Mrs. Carrolls reeks of clumsy execution. Child actress Ann Carter is victimized by some of the most ridiculously adult-sounding lines of dialogue ever spouted on the screen by a young performer, and her theatrical delivery, obviously not helped by the tone-deaf Godfrey, is off-putting. Alexis Smith is underused, but provides the one performance that matches the intended tone of the material, her Cecily an insidious presence worming her way into the Carrolls' marriage. The film stumbles its way through the familiar territory of Sally's infatuation turning to concern and then panic as she discovers that her husband is troubled and hiding many dangerous secrets. Even in 1947 it's all been done before, and much more stylishly.